Getting your new beverage into a major retail account can be very exciting, but in order to have a successful brand and make a lot of money, you need to make sure consumers are purchasing your beverage over and over again. Just getting your beverage in a retailers cooler or on their shelf doesn't mean instant sales because you are competing with thousands of other existing products. If you want to boost the sales of your new beverage, you have to use in-store merchandising strategies and sales promotions to motivate consumers to purchase your product. 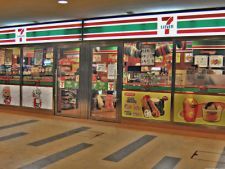 I have spent years in retail stores selling products for Pepsi, Coors and Miller Brewing company and one thing that set me apart from all my competition was my ability to boost in-store sales. One thing a lot of new beverage companies don't realize about the big beverage companies is their relentless effort to effectively merchandise their products in the store to sell. Where you place your product in the store, on the shelf and in the coolers has a dramatic effect on influencing a consumer to purchase your product. 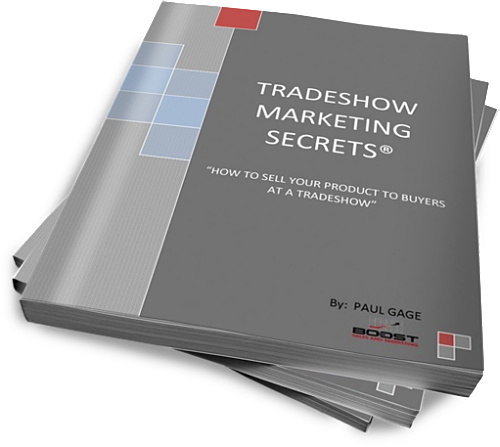 I can't give away all my secrets, but there are merchandising strategies that you can use to boost the sales of your product. 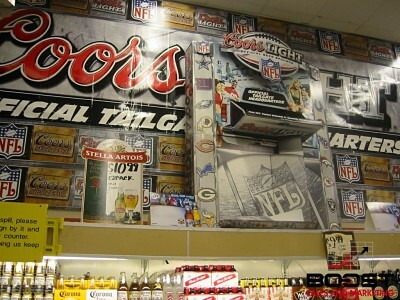 For example, placing your beverage on the center row nearest the cooler door handle will dramatically boost your sales. 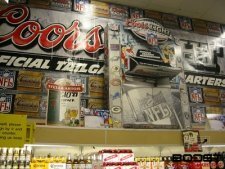 Creating floor displays in prominent positions will build brand awareness and influence consumers to purchase your product. One of the best ways to boost your beverage sales is by getting your distributor salesreps to focus on effectively merchandising your product in their accounts. As a manufacturer you are ultimately responsible for building your brand and selling your product out of the retailers store. There are multiple ways you can use retail employees to boost your beverage sales in their stores. Offering a retailers sales employees incentives to recommend your beverage is a great way to get them to focus on selling your beverage. When you help the retailer sell your product, they will give you more attention than your competition. 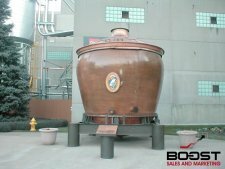 You might be a small beverage manufacturer and wondering how can you compete with the large Beverage Giants that have a large marketing budget. You can, you just need to be more creative than the large beverage giants. 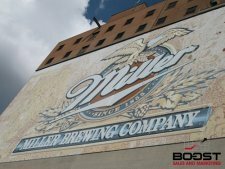 I have worked for some of the Largest Beverage Manufacturers and I was always the top sales rep because of the unique relationships that I built with my Distributors and Retailers. I worked very close with the managers and owners of all my accounts and gave them all the support that I could give. 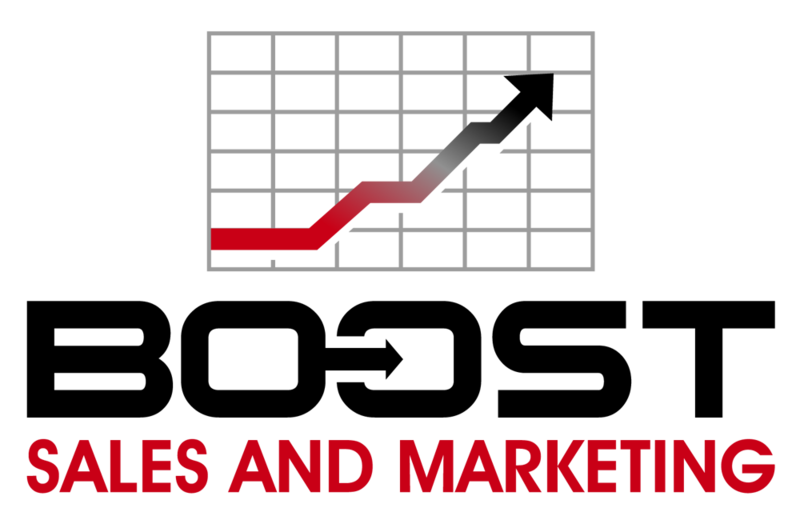 I developed marketing strategies to draw large amounts of traffic to my retailers accounts that grew their overall business. When I needed a floor display or another Draft line, I would get it over my competitors because of the extra value I brought to my accounts. If you are able to support the distributor and retailer and all of their employees, you will beat out your competitors and sell more beverages. The relationship you build with the Distributor and Retailer are more important than all the products you present to them. 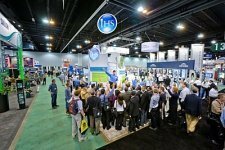 "Grow the overall business of your Distributor and Retailer and your business will grow as well." 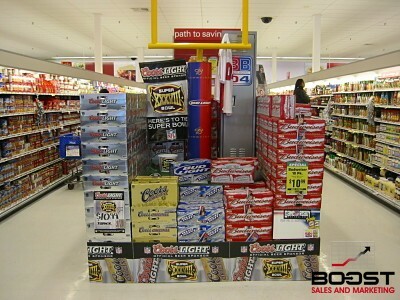 Here is some POS material I supplied a retailer with to boost their beverage sales. 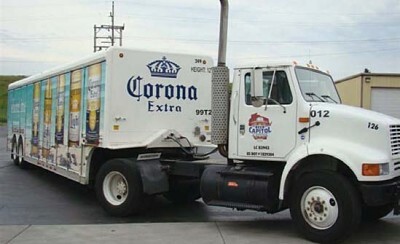 Selling your beverage to the end consumer is the most important part of your beverages success. You can get the best distributor to sell your product to the best accounts and still have poor sales if you are unable to get consumers to purchase your beverage consistently. Influencing consumers to purchase your beverage over all the other beverage choices is a science that I have mastered. You basically have 2 jobs. First, you have to get consumers to visit the retail account to purchase your product. You also have to get consumers that are already in the account motivated to purchase your product. Developing a sales strategy to persuade a consumer to purchase your product before they enter a retail store is idea as you don't have to worry about competing with your competition because the consumer will go straight to your product. All this starts with Pre-Selling your product via social media, outside signage, radio advertising and sampling events outside the account. If you add Entertainment and Persuasion techniques in your marketing plan, you will have unbelievable sales. Visit my Marketing Section to learn how to persuade and entertain consumers to purchase your beverage. Persuading a shopper that has not planned to purchase your product before they enter the store is where the fun begins. This is where it also becomes challenging because if you have a loyal red bull consumer, they will walk right past your 2 for 1 price special because they made it a habit to just purchase red bull. All the beautiful signage and price discounts won't affect this shopper because they are loyal to redbull and blind to your persuasion efforts. The best way to get this consumer to try your new beverage is by having an attractive promotional model sampling your beverage in the account. It is important to stop the shopper and then motivate them to try your product before they make a purchasing decision. 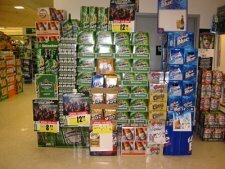 How to Sell your Beverage to Major Retailers!